Everyone has to visit New York City once in their life. We help you find a great hotel in New York City to suit your travel budget. 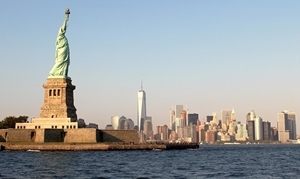 New York “So good they named it twice” – New York City was originally founded by Dutch colonists as New Amsterdam but changed by the English in 1684. 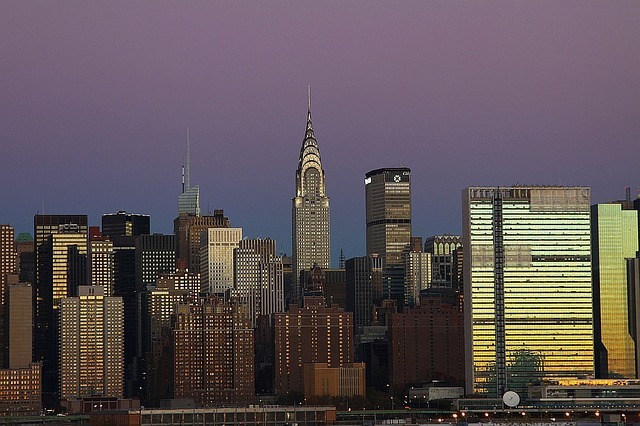 The iconic New York skyline is familiar to all of us. So too are the boroughs that make up this world city: Manhattan, The Bronx, Queens, Brooklyn and Staten Island. Most visitors head for Manhattan where you will find a range of hotel accommodation from the ultra luxurious to basic hostels. In search of value and a change of pace, some visitors are beginning to explore the charms of the outer boroughs – especially Brooklyn. NYC’s extensive public transportation system makes it only a few stops away from Manhattan. The main tourist area on Manhattan is Midtown. This area is bounded by in the north by Central Park at 59th Street and in the south by 23rd Street. Midtown contains such landmarks as Times Square and the Empire State Building. Penn Station is the main transport hub with numerous suburban train lines and subway lines. All the chain hotels are represented in Midtown. Rooms will be much smaller than you may be used to in other parts of the US. Lower Manhattan down to Battery Park is the Financial District. There are still some important sights such as the World Trade Center Memorial and the ferry for The Statue of Liberty. The hotels in this area tend to cater more for business visitors. This means that they have 1000s of rooms to fill at weekends when hotel deals and discounts can be found. Just note that restaurants in the area may close early in the evenings and may not open at all at weekends. Manhattan is an island. To get better value for you stay (and a different vibe from Midtown) you may want to venture across the East river to Brooklyn or across the Hudson River to New Jersey. You will be rewarded with lower room prices, more space. If you are lucky, you may get views of the Manhattan skyline. The trade-off between location and price may make let you afford an extra hotel night to explore all the sights, tastes and sounds of the vibrant city. For those flying to NYC. The New Jersey side of the Hudson River is convenient for Newark Liberty Airport. 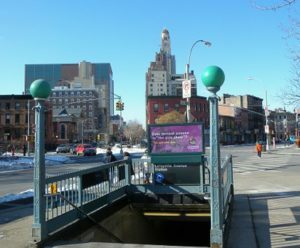 If you land at La Guardia or JFK Airport then Brooklyn is more convenient. for instant availability and guaranteed LOWEST online prices!